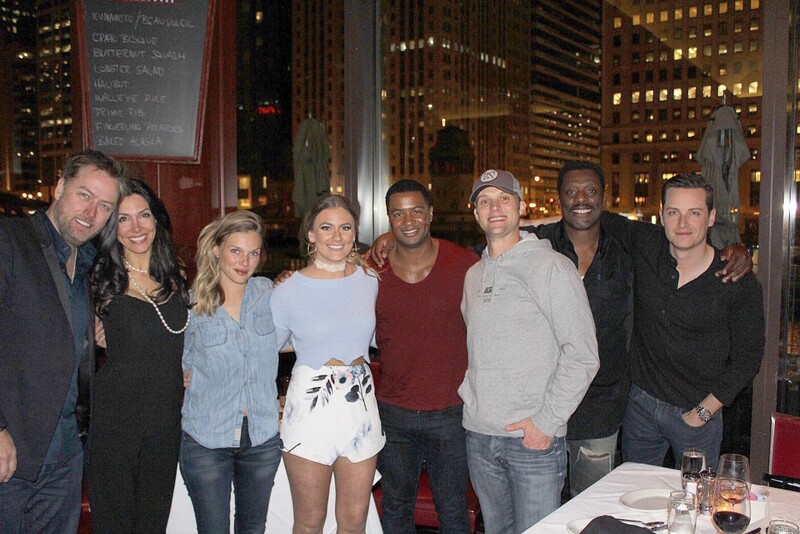 Many thanks go out to stars of Chicago Fire and Chicago PD for dining with us! (Top photo: from left to right) Michael Brandt and his fiancée, Tracey Spiridakos, Natalie Scumaci (director of Client Relations), Kamal Bolden, Jesse Spencer, Eamonn Walker and Jesse Lee Soffer. 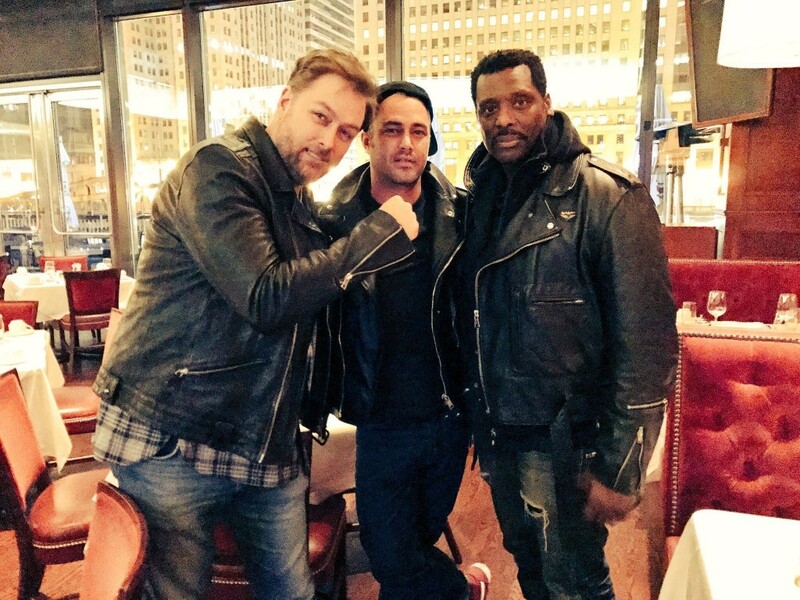 (Bottom photo: from left to right) Michael Brandt, Taylor Kinney, and Eamonn Walker.